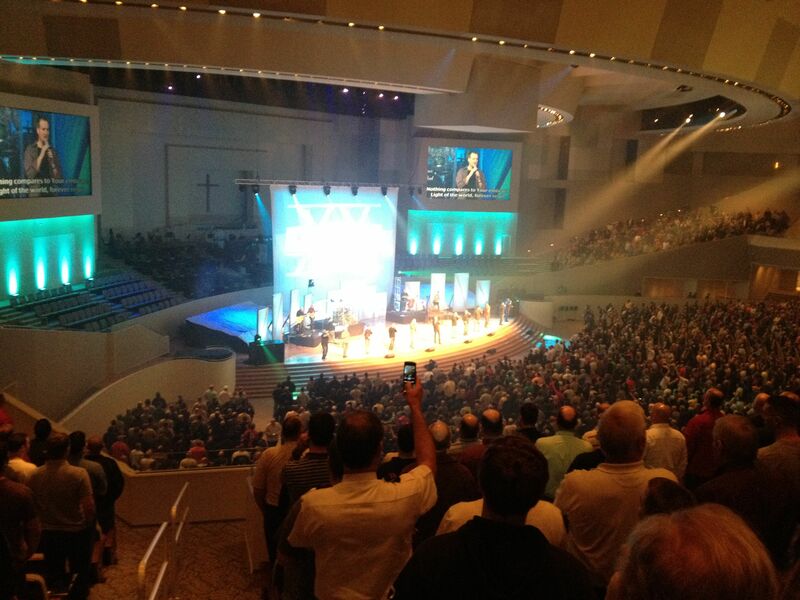 As I mentioned in my last post, I haven’t yet written about my experiences a couple of weekends ago at the Men’s Conference at First Baptist Church Woodstock. I intentionally wanted to take some time to soak in everything from the trip. FBCW does a fabulous job of making their large church seem smaller and friendlier than most big churches. Kudos to the volunteers and staff. I went to a couple of great breakout sessions: A Call to Biblical Manhood with Bob Reccord and Fight Like a Man with Troy Haas. Pastor Johnny was on fire. More so than years past. Any sin you uncover, God covers. Any sin you cover, God uncovers. Never disregard the drive. Every year, I thoroughly enjoy the van ride to and from Woodstock. The conversations and laughs are a highlight. I haven’t yet done so, but I am glad they have gone to MP3 downloads of the sessions. In past years, someone had to wait in line for CDs reproduced right after the last amen, or wait for the CDs to be mailed. Downloads are much more efficient and a welcome perk. This is just a sample of some of my takeaways. If you went to the conference, please add your thoughts to the comments.